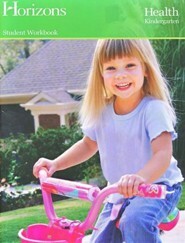 Horizons is a brightly illustrated and engaging Christian workbook curriculum from Alpha Omega that uses a spiral-learning method to help students master concepts through introducing, reviewing, and reinforcing specific skills. 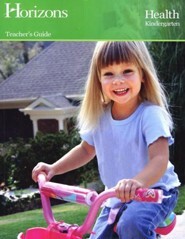 Consumable, teacher-directed lessons integrate plenty of hands-on activities using manipulatives (not included). 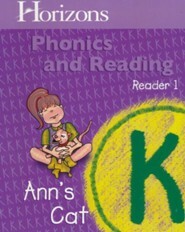 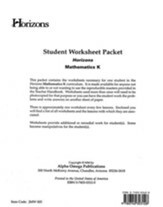 This Volume 2 student book contains the second half of the student worksheets needed for this kindergarten curriculum; this program also cannot be completed without the teacher's guide. 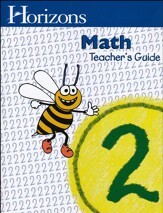 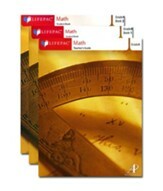 Both the Volume 1 Student Book and the Teacher's Guide are not included and are sold- separately. 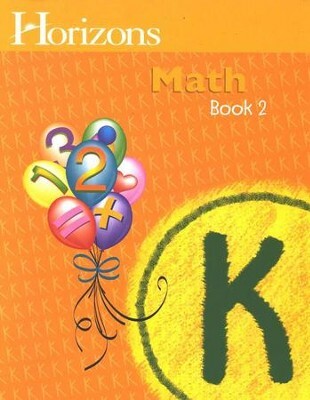 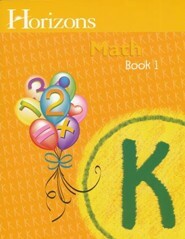 Horizons Math Grade K Book 2 covers subtraction, place value, money & time, skip counting, word problems, basic geometry, and more. 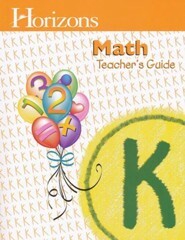 80 lessons.164 pages, softcover; consumable and non-reproducible. I'm the author/artist and I want to review Horizons Math, Grade K, Student Workbook 2.